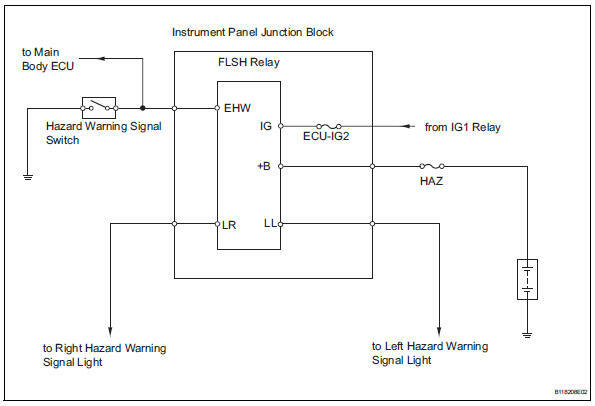 When the hazard warning signal switch is turned on, the turn signal flasher relay (marking: flsh) in the main body ecu turns on to flash the hazard warning signal lights. Ok: all hazard warning signal lights flash. 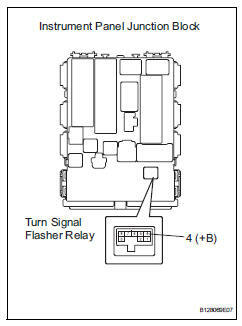 Replace the turn signal flasher relay with a normally functioning one or a new one. Check that the appropriate turn signal light flashes. Remove the hazard warning signal switch.